With a fantastic look as an armless sofa, you will love the contemporary style and functionality this sofa adds to your home. 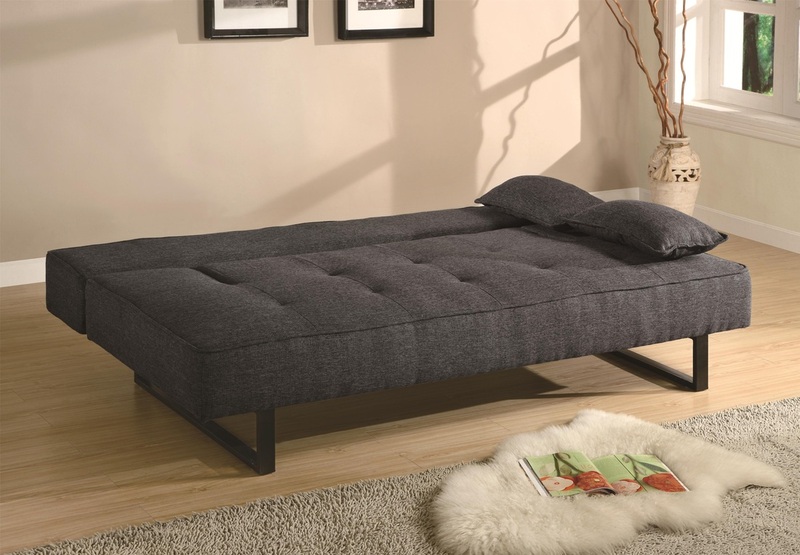 Comfortable as a sofa or converted to a sofa bed for your overnight guests, this sofa futon offers a comfortable double-size bed. The tufted seat and sleek metal legs add style. The sofa bed includes to matching accent pillows.